clear span gable symmetrical metal buildings. 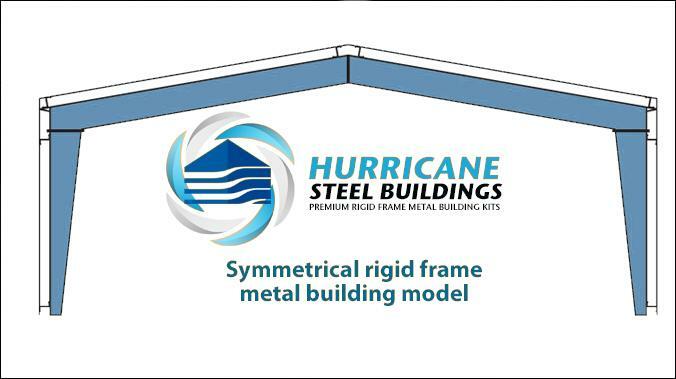 Hurricane Steel Buildings® metal buildings kits come in 5 different type models. The clear span gable symmetrical metal building kit is the best selling building among all building models. The cost is less than the other 4 models as it requires less components including interior support beams but still offers the strength and stability that the other buildings have. The symmetrical building design is a double slope building and the ridge is in the center of the structure. This metal building is a true clear span building that features a gabled roof that comes in a wider variety of pitches and the interior has no posts or columns to obstruct the usage and planning inside the building. The framing uses less steel, no interior posts and is designed for buildings that require 100% usable space inside. Most commonly these buildings are used for warehouses, agriculture buildings, aircraft hangars, and sports arenas. This type of metal building includes tapered sidewall columns and tapered rafters. You have the option of girt conditions to be bypass, flush or inset. Each building can be fitted with insulated cladding or panels, slide windows, overhead doors and walk through doors and ventilation options. Hurricane Steel Buildings® custom manufactures every clear span building according to AISC load requirements so that your building is strong and bears heavy loads and sustains sever wind speeds. The AZ Galvalume® Steel your building is made with is a steel alloy containing aluminum and zinc which was developed by the industry to provide the best durability and sustainability which is 700% more rust resistant than galvanized steel. 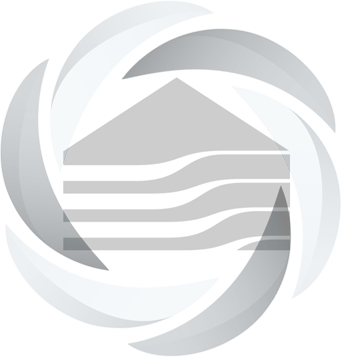 Custom build your symmetrical metal building using our online metal building price calculator and get instant prices according to your specifications. You can call us toll free at 833-834-8400 to further customize your clear span building with various features and accessories.